2016 looks to be a vintage Toyota year. We got a look at the 2016 Toyota Hilux earlier on, and now Toyota has finally revealed the replacement of the ever-popular SUV, Fortuner. It is already a South African favourite due to the versatility it brings to families and outdoor lovers alike. And with the new 2016 model, this tradition is on track to be extended. Toyota sells more SUVs in Australia than any other brand, having delivered more than 50,000 in each of the past three years. No other company has sold 40,000 SUVs in a single year. Toyota will equip the new Fortuner with it’s newly developed advanced 2.4 and 2.8 litre turbo-diesel engines. The engines, referred to as 1GD or GD series, employ highly efficient fuel-injection systems and intake/exhaust ports. The 2.4-litre motor generates maximum power of 120Kw and a peak torque of 400 Nm. The 2.8-litre unit boasts 132 Kw-450 Nm. Both the motors will come mated to a 6-speed manual and automatic transmissions. There’s also a 2.7-litre petrol motor, but it remains to be seen if we will receive this variant. All models will feature front wheel drive while the 2.8 litre model will have the option of all-wheel drive. Watch this video to see why you need to book yours asap! FULL SPEC & COLOURS HERE! We all want and love freedom, or at least the idea of it. But what exactly is freedom? In short, it’s whatever we want it to be – enjoying life without inhibitions. It’s the ability to go anywhere you like, whenever you want. That’s the true luxury of freedom – and this is embodied in the new Toyota Fortuner. The origins of the Fortuner are interesting. It dates back as far as 1984, when a midsize SUV called the Hilux Surf was introduced and sold to selected markets, including Brazil, Australia, New Zealand, the United Kingdom, Pakistan and Afghanistan. Two decades later, a much more refined design with similar underpinnings to the Hilux Surf was introduced as the Toyota Fortuner to more than 110 markets in 2005. The first-generation Fortuner was launched in 2006 in South Africa and soon became the SUV of choice for bush and urban lifestyle enthusiasts alike. The new Fortuner may share some under-the-skin artillery with its tough-as-nails Hilux sibling, but in terms of design, they’re poles apart. In the current guise, the Fortuner sports a more distinctive, sleek yet striking and powerful design. The front end looks bold and impressive, and the overall look is handsome and muscular. The Fortuner has been designed to stand out in urban settings as well as withstand tough outdoor conditions: it boasts sharp, sculpted exterior lines, slender headlamps and has underbody protection. The large upper grille is slanted and framed by thick chrome plating that extends around the headlamps. The strong design features a prominent three-dimensional trapezoidal front bumper, while deeply recessed fog lamps on all grades emphasise the vehicle’s width. A bold, characteristic line runs along the side, across the doors between the flared front and rear fenders which feature sculpted surfaces that maintains refinement in the midst of toughness. The Fortuner’s rounded upper body is highlighted by a chrome-plated moulding (selected models) that wraps around from the sides to the back glass. The overall effect, with the Fortuner’s black pillars and pronounced rear spoiler, is of a floating roof that gives the vehicle a dynamically striking stance even when it’s stationary. The sleek rear combination lamps and licence-plate garnish blend with the complex surfaces of the rear body. All models have LED stop lamps for a high-tech image, LED tail lamps, bi-halogen headlamps on the 2.4 Global Diesel (GD) and 2.7 VVT-i, and high-beam LED headlamps on the 2.8 GD and 4.0 V6. The new Toyota Fortuner was designed with a bold yet elegant interior that features flowing surfaces and shapes with an emphasis on comfort and convenience. Premium soft-touch materials are used in key contact areas around the dashboard, windscreen pillars and door trims. These are complemented by metallic accents, woodgrain detail and carefully crafted ornaments precisely where necessary. In addition, the prominent centre console is flanked by vertical columns covered in soft-touch materials that also provide leg support for the driver and front passenger. There is seating for seven people over three rows, with front seats that are flared at the shoulders and fitted with firm bolsters for maximum support. The second-row seating is split 60/40, and features a slide function and reclining backrests. Third-row seating is split 50/50 and features a recline function. Both rows can be stowed – with just one touch – to provide additional luggage space: the second row seats can be tilted and tumbled forward individually, while the two halves of the third row can be stowed to offer more storage space. All Fortuner models have audio systems with four to six speakers, an auxiliary/USB port, AM/FM radio and a CD player. Audio systems on the 2.8 GD and 4.0 V6 models boast a DAB+ digital radio and a 7” screen with DVD compatibility and a reversing camera display. The range-topping 4.0 V6 is equipped with satellite navigation. Other convenience features include standard Bluetooth connectivity, steering-wheel audio and telephone controls, as well as power door locks, windows and mirrors. Air conditioning is also standard and features separate air-flow controls for second-row passengers. All models feature three 12-volt accessory sockets – under the centre cluster, in the rear of the centre console for second-row passengers and in the rear luggage area. The new Fortuner has a high-strength frame, rigid body, all-coil suspension and chassis calibration. The result is optimum durability, confident handling and excellent ride comfort coupled with low levels of noise, vibration and harshness (NVH). Special attention was paid to maximising strength, torsional rigidity, protection against stone damage and corrosion protection, while meeting strict weight targets. The new frame’s side rails and cross-members are reinforced, while the body uses high-strength steel for excellent rigidity and crashworthiness while minimising weight. The highly rigid chassis frame and body provide a stable platform for the Fortuner’s new suspension, contributing significantly to optimum steering response. The new Fortuner has a double-wishbone front suspension and four-link coil-spring rear suspension, both with stabiliser bars. The Fortuner’s suspension hardware includes reinforced suspension towers and large-diameter dampers for durability, stability and effective control of small vibrations. The large-diameter cylinders allow the dampers to generate high forces with a short stroke for minimal impact harshness. The damper curves have been calibrated to deliver a flat ride at low damper velocities. Ball-joint mounted stabiliser bars front and rear minimise uncontrolled body roll. The Fortuner’s hydraulic power-assisted steering is road-speed sensitive. The steering calibration was developed to suit challenging and extreme conditions, varying tastes and usage requirements, with minimal steering effort at low speeds to improve comfort and confidence-building steering feel at highway speeds. A comprehensive anti-corrosion strategy includes extensive use of galvanised steel for most of the vehicle’s exterior panels and cabin. Toyota also makes extensive use of undercoating and chip-resistant coatings. A special underbody protection package was developed to withstand severe use, including an engine undercover for increased levels of protection. The undercover allows for cleaning after off-road use and was designed to minimise the collection of mud under the engine, while deflecting rocks and other potential harmful objects from critical parts. Body noise-suppression design measures include insulation of the engine bay to reduce noise transmission to the cabin, including inner and outer dash silencers. Side door and glass seals reduce wind and road noise. Expansion foam is used throughout the body sections and seals to reduce noise. The new Fortuner is propelled by a range of newly developed engines, including the 2.4 and 2.8 GD series, the 2.7 VVT-i and 4.0 V6 power plants. The new GD series engines offer improved power output, efficiency and refinement. 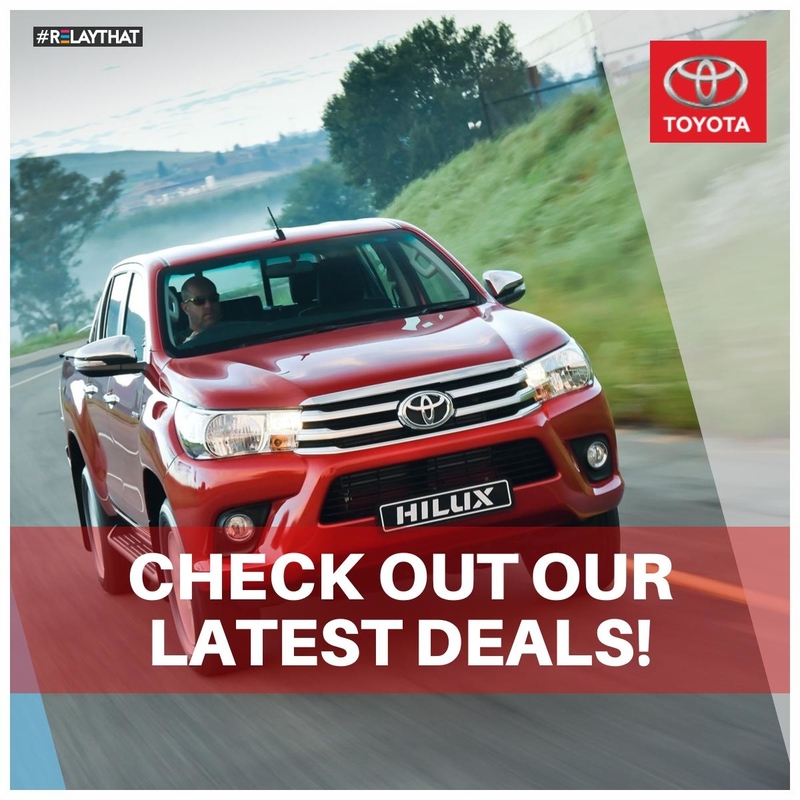 First introduced in the new Hilux, the new diesel engines have been developed from the ground up to offer an excellent on- and off-road driving experience. The GD series engines place strong emphasis on torque output and low-speed tractability. They make use of DOHC, 16-valve, four-cylinder inline architecture and utilise Variable Nozzle Turbocharger (VNT) technology, which deliver the compressed air through a new front-mounted intercooler. The 2.4 GD produces 110kW@3400 and delivers 400Nm of torque between 1600 and 2000rpm. The 2.8 GD offers owners a stout 130kW and effortless 420Nm from 1600 to 2400rpm in manual guise. Automatic transmission versions will receive a boost to 450Nm over the same rpm span. The fuel efficiency of both diesel engines has been improved over the units they replace: 13% on 2.4 GD and 9-15% on 2.8 GD. The high-output 2.4 litre GD engine delivers excellent fuel efficiency, weighing in at 7 litres per 100km in the manual and 7.9 litres in the auto. The 2.8 litre GD engine strikes a formidable balance between power and economy, returning impressive figures, ranging from 7.5 to 8.5 litres per 100km – depending on the model. The maximum towing capacity is rated at 2.5 tons for the 2.4 GD and 2.7 VVT-i models and at 3 tons for the 2.8 GD and 4.0 V6. Two petrol engines are on offer, including a revised version of the familiar 2.7 litre VVT-i (previously not available locally) and the livelier 4.0 V6. The former delivers 122kW and 245Nm with a 10% improvement in fuel economy. Revisions to the 2694cc four-cylinder unit include lighter valvetrain components, a newly shaped intake tumble port, reshaped combustion chamber to support a high-compression ratio and the adoption of VVT-i for the exhaust side. This in turn equips the 2.7 litre unit with Dual VVT-i, with the valve timing of both intake and exhaust sides optimised to improve efficiency and power delivery. Completing the line-up is the range-topping 4.0 litre V6, delivering a gutsy 175kW and 376Nm. The new Fortuner offers the latest Toyota six-speed transmission technology for ease of driving, comfort and fuel economy. Both transmissions, available on all grades, in both manual and automatic configurations have a wide spread of ratios to optimise both take-off performance and fuel economy at highway speeds. The 2.8 GD receives Toyota’s newly developed intelligent manual transmission (iMT) for smoother shifting on and off road. The iMT electronics match engine revolutions to transmission revolutions for smoother shifts – especially useful when carrying heavy loads. Toyota designed the new-generation manual transmission to improve fuel economy and shift feel, while also optimising reliability and durability. Fuel economy has been boosted by reducing torque loss, through optimal placement of the oil separator and improved materials for the moving parts. Fifth and sixth gears are over-drive ratios, with a direct-drive fourth gear. Shift feel has been optimised with a short gear-shift lever and careful attention given to the structure of the gears and bearings. The new Toyota Fortuner has been developed to attract the maximum safety standard. Standard electronic safety features include Vehicle Stability Control (VSC), Active Traction Control (ATC), Trailer Sway Control (TSC), Hill-start Assist Control (HAC) and Drive Mode Select. Downhill Assist Control (DAC) is available on only 4×4 models. TSC uses brake control and engine output control to suppress lateral trailer movement caused by factors such as crosswinds or variable road surfaces. ATC is designed to prevent the wheels from spinning on low-friction surfaces such as mud and snow. It also provides high levels of control in off-road situations by distributing torque to the wheels that have traction. HAC helps prevent the vehicle rolling backwards when moving off on an incline. DAC provides braking in 4×4 high or low range to help maintain a constant speed when descending a steep hill, allowing the driver to concentrate on steering. An electrically controlled rear differential lock is standard on 4×4 models. The brake system features ventilated discs: 338mm at the front and 312mm at the rear. Under heavy braking, the hazard lamps will flash to provide an emergency signal to other road users. The high-strength body creates a strong central safety cell. Pedestrian safety measures include impact-absorbing structures for the cowl, fender bracket, bonnet and front bumper. Safety equipment in the new Fortuner includes emergency-locking retractor three-point seatbelts for all seats, with force-limiting seatbelt pretensioners for the front seatbelts. There are seatbelt reminders for front and second-row seats. There are three top-tether child-seat anchorages and an ISOFIX point for a child seat. 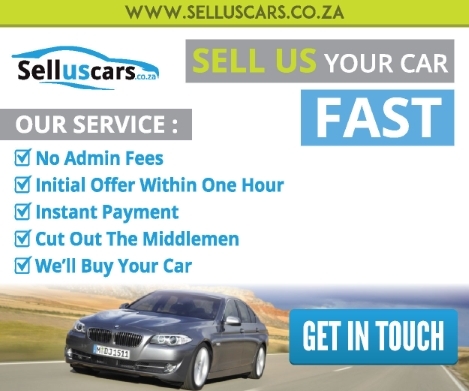 All retail prices include a three-year/100 000km warranty and five-year/90 000km service plan.